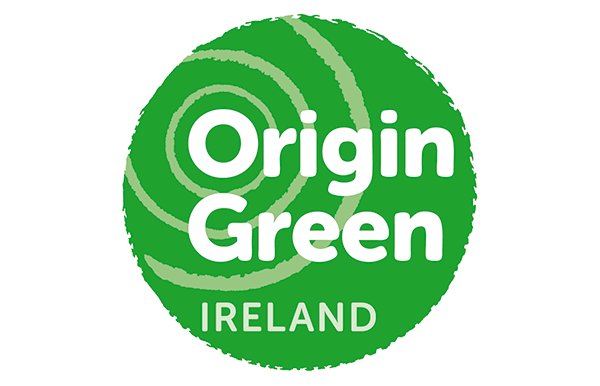 Ireland’s Origin Green is the world’s first national food sustainability programme created by Bord Bia. It unites the industry towards a common purpose of proving and improving the sustainability of our food production system. Its members include farmers and food businesses; food and beverage manufacturers, retailers and foodservice operators. To become a member of the programme, we have committed to a mandatory mix of sustainability targets specified by the Origin Green Charter in key areas such as waste, emissions, energy, water, responsible sourcing of products, health and nutrition and social sustainability. These mandatory targets form the basis of our Origin Green sustainability plan. Through an independent verification system, targets are measured on an ongoing basis. The plan is independently verified by SGS to ensure the targets are viable and robust. Each plan is reviewed annually and monitored for progress against the set targets. Becoming members of Origin Green supports and enhances our CSR objectives. We have outlined 24 targets and intend to add to these as we progress.